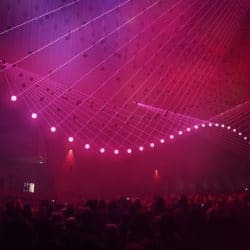 The new Confluence Museum, the most visited site in Lyon, is taking part in the Festival of Lights for the first time with enormous projections on its wonkily eccentric exterior. Crystal Cloud, by Urbanscreen. 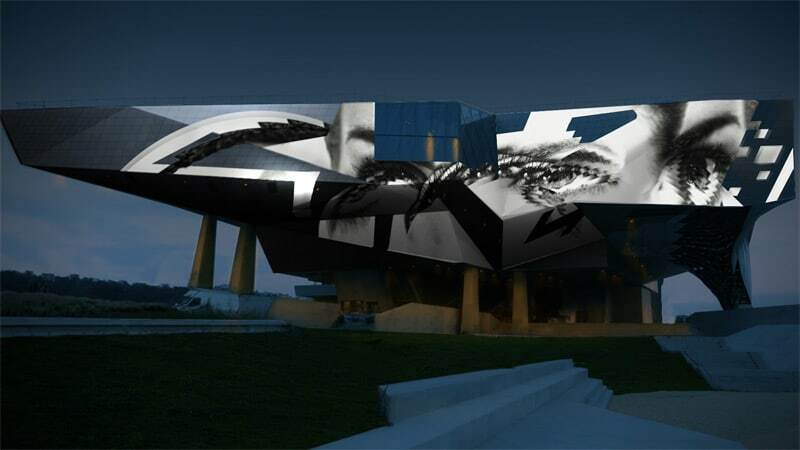 Confluence museum. Lyon. A visual exploit signed Urbanscreen, a German collective which brings together architects, musician and lighting engineers. This illumination is among the city’s “totems”, there to represent welcome signs for visitors. 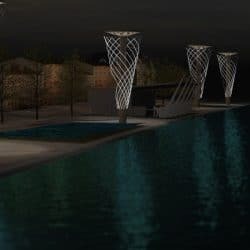 The four flood-lit masts in the Tony-Bertrand swimming pool, 30 metres high and located on the banks of the Rhône, are dressed up for the occasion.